Paint can cover up water stains on a ceiling. Painting right over the stain has it’s challenges. 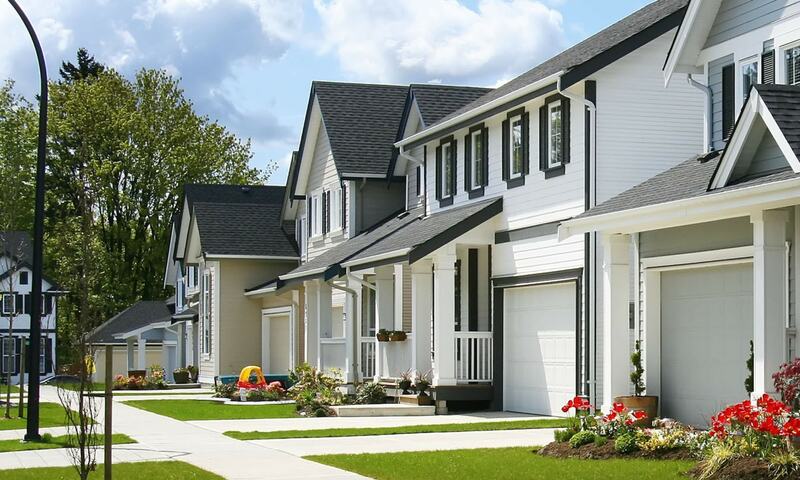 Painters use proper primer to seal and conceal the stain before painting to ensure the best coverage. Painting a water stain on either a flat ceiling (no texture) or a stipple or popcorn ceiling follows the same pre-painting preparation work and procedures. Although a textured or stipple ceiling a.k.a. popcorn ceiling will have a few extra challenges. Some of those challenges will be things like it crumbling and falling off when you touch it with your hand, paint brush or paint roller or a scraper. There will also be the challenge of re-stippling the ceiling if you are keeping it as a stipple ceiling or if you are removing the stipple altogether. 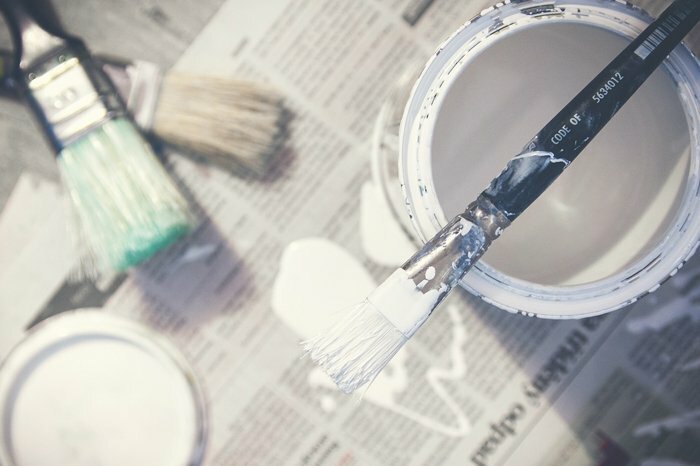 We share our recommendations and tips on how to paint water stains on ceiling to help guide you through your next DIY house painting. Make sure you find where the underlying water leak is from before you commence any work on the ceiling. Finding the reason for the water damage is key to ensuring it doesn’t happen again especially after you have finished painting. Water damage will return and show up again if it is not properly tended to from the beginning. Before you re-paint the ceiling with the water stain and water damage you need to do the following and avoid future paint problems. Move all furniture to the middle of the room and cover with plastic and or drop cloths. Read these how to tips on patching ceilings to guide you through the first steps. You may have some drywall repair of the ceiling to do if you have had to scrape off any of the stipple or popcorn from the ceiling. Here are the steps you need to take to prepare the drywall for painting. A primer that blocks stains is the ideal product to use to ensure the water stain is sealed and won’t show up after painting. There is a difference between the all in one primer paints vs. the quality paint primer. We use the Kilz Products . 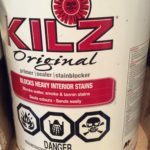 Whether it’s a small stain on the ceiling that a spray can of the Kilz stain blocker can cover or the a larger section that needs to be primed with a roller, they have it all. 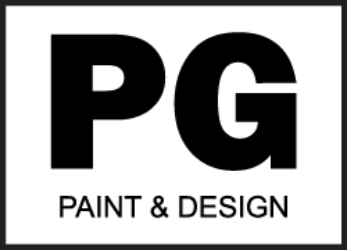 You may also choose to have the primer/sealer stained to match you existing paint colour. Apply the primer/sealer first. Let it dry and you can apply a second coat depending on whether the first one completely covered the stain. There’s nothing wrong with applying 2 to 3 coats as it will only offer extra protection and very good coverage to hiding that stain. After all the patching, sanding, priming has been done you can now brush on the paint colour if it is a small section. For larger areas use a paint roller for full coverage. Know that if it is a textured ceilings you may require extra paint. Stipple a.k.a. 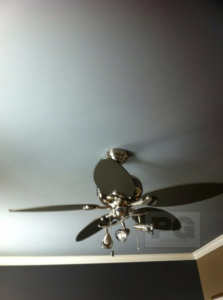 popcorn ceilings absorb water based paints more than a flat ceiling.